At Bonds, the Triangle Crop has become an all-time fave and this Hipster Triangle Crop is the next evolution. Featuring a smooth, no-dart finish, this wirefree, unstructured crop has adjustable multiway straps which can be crossed over at the back. A soft branded underbust elastic completes the comfort factor. This is the lowest price seen on this item at Catch of the Day in the last 12 months! 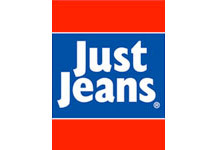 This is the lowest price ever spotted on this item at Just Jeans!